Hey Everybody! 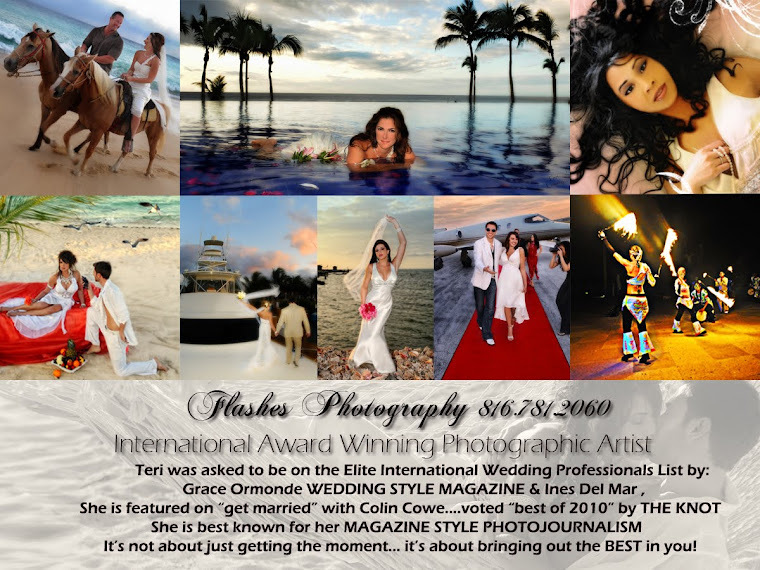 We wanted to tell everyone about Flashes new online Travel agency. You can now book your travel with Flashes! Just go to our website at www.flashestraveladventure.com to book. Go to the Honeymoon Registry and register for a free webpage that will enable your family and friends to buy your honeymoon excursions, food, massages, whatever your heart desires. HOW COOL IS THAT! Our travel agency offers competitive prices to other online travel search engines such as Expedia, Travelocity, etc. If any of our bride and grooms book a cruise though our online travel store, you will receive a $200 credit toward your wedding prints! If you book other travel, you will receive $100 credit! Have fun booking your romantic getaway!